Welcome up here in the Ho Ho Tower, in Hong Kong, where you will experience the most spectacular of Christmas festivities. You will be dazzled at the sight of fireworks lighting up the sky as laser shows give their own contribution to the general colour scheme; a bright mix of colours that welcomes us as we reach the waterfront and the city skyline. But beyond the fireworks and laser shows, there’s a massive Christmas wheel which not only complements the spectacular views but offers an incredible amount of gifts and prizes which you’ll want to unwrap. Find out more about this fantastic Christmas themed online slot from ELK Studios, as we climb up to the very top floor of this amazing Ho Ho Tower! 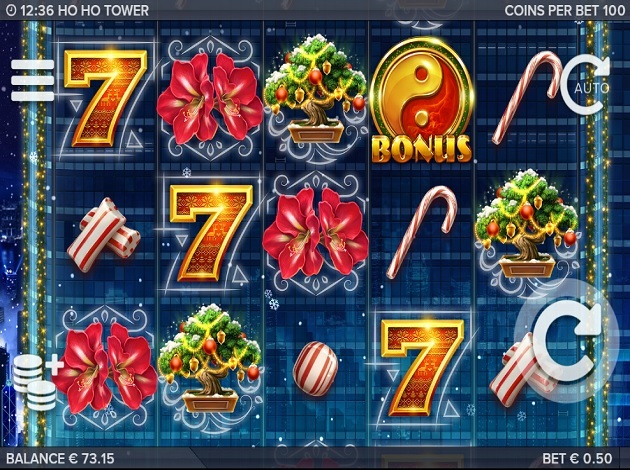 Ho Ho Tower is a 5 reel video slot with an incredible mix of symbols and bonuses comfortably nestled within the Christmas theme. There are 99 ways to win thanks to connecting paylines, and you have the chance to win massive prizes with this online slot which comes with an RTP of 96.4%. Play on mobile or desktop from as little as € 0.1 up to a maximum of € 50; thanks to a maximum win of 3061x your betting stake, you stand to win a maximum of € 153,075. No Free Spins and no Gamble feature? This must be a pretty boring slot. The Three Wheels of the Sky adorning the roof of the Ho Ho Tower will prove you wrong. Land three or more Red Bonus symbols on any of the reel positions, or at least one Blue Mystery symbol. If you land more than three red bonus symbols you will have up to two additional lives in the Bonus game, while the Blue Mystery symbol will always guarantee you two additional lives. You will be taken to a massive wheel with very big multiplier prizes; the wheel will spin and your multipliers will accumulate. However, hitting the “Level Up” symbol will take you up to one level, and you will continue to spin and pick up even bigger multipliers until you hit the wheel section a second time. Every time you hit the same wheel section twice you lose a life, but this is where the Blue Mystery symbol and its extra lives will come in handy. The Mystery symbol acts as a Wild, as it will change into other symbols showing on the reels unwrapping additional opportunities to win – provided it can form winning combinations. The Mystery symbol can reveal a Bonus symbol which will override all other Bonus symbols and take you to the Wheel Bonus with two additional lives. Like all other ELK Studios titles, Ho Ho Tower comes with the Betting Strategies options, where four unique strategies are at your disposal so you can play according to your betting preferences. The Optimizer mode bets a percentage of your balance, the Leveller raises your bet level after 5 concurrent losses, the Booster raises your bet upon a loss, and the Jumper raises the bet amount after each win. Christmas lights and candy sticks are there alright, but this online slot also carries a strong Asian theme due to its setting in Hong Kong: including the Yin Yang symbols and the golden Chinese coins flying all over the screen if you land massive wins through the Bonus Wheel. After the various fairies and elves greeting you in the opening animation, you are taken to the main interface with the glass windows of the Tower acting as a background. The symbols are designed in great detail and loom large on the imposing reels, and there are few buttons on the main interface but through these, you will be able to set your options for auto spin, bet amount, and have a look at the paytable. It’s a Merry Xmas indeed here up the Ho Ho Tower! With its bet limits that aren’t too demanding, the Bonus Wheel offering you multiplier prizes and relatively high RTP, Ho Ho Tower is bound to have you ho-ho-ing from the comfort of your desktop or mobile device as you see those prizes rolling in! Elk Studios is a young but a well-known provider in the amazing casino world. This game developer is based in the Swedish capital Stockholm, where they have been operating since 2012. The company was founded first and foremost to create casino games that are compatible with mobile devices. Since their launch, Elk Studios have worked really hard to continuously develop new tools and their distribution to mobile casinos, in order to take it to a whole new level. Elk Studios has always aimed for the stars – they are really ambitious for a newcomer, but they know this is the only way to make it to the top in such a highly competitive market. 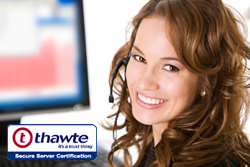 With help from advanced mathematical algorithms and the highest technical standards, they have succeeded early on in achieving their goals. In a few years they have created and developed successful games, and among their popular titles, you will find Electric Sam, Bloopers, and Taco Brothers.